The health care industry is a booming one. If you are interested in health care, there is a sure way to make profit from your passion. That is by starting a home healthcare business. However, do you know how to start a healthcare business. The health care sector is a promising one for entrepreneurs, many have become successful health bloggers, marketers and made steady income in the health care sector. If you are wondering how you can start a home health care business, this article will help you see reasons why you should start a home health care business, and give you a practical step by step guide on how to start up your own home health care business and start earning. A home health care is a very broad term, and could have varied meaning to different people. 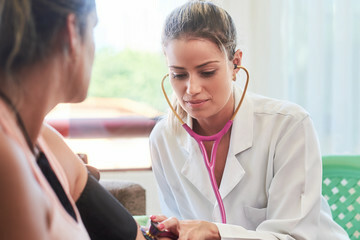 But basically it means providing a form of health care which would normally be done in the clinic or hospital, at home. Medical or skilled home health care: Medical home health care involves providing skilled medical, nursing or therapeutic services in your home or in the patient’s own home. This health care services would ordinarily be provided in a hospital or clinic. They are practiced by a medically trained of certified professional. A good example is providing assistance to nursing mothers. Non-medical home health care: This type of home health care involves providing assistance with daily living activities for senior citizens who want to stay in their homes. Such health care services can range from administering drugs, hygiene maintenance, meal preparation, carrying out vital medical tests, housekeeping, and transportation. In the United States, the home health care business is said to generate billions of dollars annually, with over 386,000 home health care businesses, generating over 1 million employment opportunities, and it doesn’t seem to be slowing down. All over the world the home healthcare business is also booming. There are many senior citizens who refuse to go to wellness centers or leave their home for health care. There are also other factors such as the growing need for physicians to practice of home care, as well as urgent need to reduce the medical demands placed on hospitals and a desire to find cost efficiencies in the health care system. 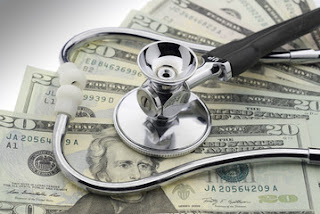 Starting up a home health care business is also a great way to gain financial freedom, the health care industry has and will always be lucrative. It is considered as a low start up investment, that will yield high revenue within a short period. That said let’s find out how to start a home healthcare business. The following is a simple practical step by step guide to starting a home health care business. It can apply to all forms of home healthcare. So if you want are how to start a healthcare business, then this post will definitely guide you. To start up any successful business ventures you need to draw up a good business plan, and put it in writing. This also applies to when you are starting a home health care business. You will need to pen down a well written analysis of your business structure, management structure, start financial expenses, equipments, a business marketing and strategic growth plan. Writing down your home health care business plan will help you for gain investors or loans. The next step is to imbibe yourself with all the vital knowledge of your home health care business. If you want to start up a non-medical home health care business for example, you should read up books on caregiving and providing home care to senior citizens. It might also be essential for you take some courses and gain experience in your health care field. If you do not have such experience, you may want to partner with or hire people with medical experience or skill. You need to make an indepth research into your area. Find out what is lacking in the home health care in your community, and look for how best, you can solve that need. You should also research into your competitors. Ig they many home health care businesses in your community, then you have a lot of work to do. But not to worry, you just have to serve a need currently unmet by competitors. Make critical research and meticulous analysis, if not you might not succeed in your home health care business. 4. Apply for all the appropriate certifications and license. You will also need to get some certifications in order to begin your business. You might wonder how to get licensed for your home health care business. Submit all documents to your Secretary of State and County Clerk of Court. The documents you are to submit will depend on the structure of your business. In some countries you might not need to have a Federal Employee Identification Number (EIN). You should also apply for a business license with your country or state. You might also be required to apply to for a state board of health permit. All this application with give your business credibility. In a home health care business, you are not selling and products, your staffs are your products. So it is imperative you pay close attention when hiring employees. If you are not a trained medical professional, you should high a qualified clinical supervisor. His or her job is to supervise the home health care delivery. You should higher people with experience and adequate knowledgeable about health care delivery. Nurses, physiologists, physiotherapists, drivers, carers can also be hired. It is very therapists, pathologists, nurses and caregivers who can effectively perform their duties. When you are hiring, make sure you do a background check on your potential employees. It could be very detrimental to your business if one of your employees, makes a mistake and is discovered to be someone who had been sanctioned or suspended for medical malpractice issues. Additionally, you should set up a business structure. Your business structure might be a partnership, corporation, a limited liability corporation, or sole proprietorship. A home health care business also needs liability insurance. You should have insurance that protects your business in general, that also provides professional liability insurance for your clinicians as well as a worker’s compensation insurance. You should also try to ensure that your clinicians or staffs to have their own professional liability insurance along with the liability insurance that you provide. A skilled health care insurance broker who specializes in healthcare liability to get youthe right plan. Create a simple business website and social media pages advertise. Write sponsored posts on health care blogs. Talk to friends, relatives and neighbors about your business. Ask them to refer you to anyhow who needs home health care services. Network with medical doctors, and attend seminars. You need to buy all the required equipments for your home health care business to run smoothly. All equipment that includes both medical and non medical equipments. In the United States, it is very important that your home health care business has all the proper Medicare and Medicaid certifications. Another important step is to set up a billing system which will determine how you will be paid by your clients. It could be hourly charges, weekly charges or even monthly. Choose a convenient procedure that will match the services you are providing. Also develop a stable salary and payroll structure for your staffs. Make sure that they are paid accordingly. Thanks for reading. I am very sure now, you know how to start a healthcare business, and the need basic knowledge to go about setting up a home healthcare business.